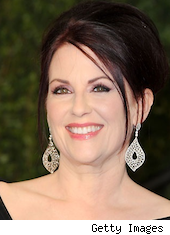 Megan Mullally, most famous for her portrayal of the nasal-voiced, sharp-tongued spitfire Karen Walker on the smash sitcom "Will & Grace," has just sold the stunning trophy property in the "Bird Streets" of the Hollywood Hills that she shared with her husband, "Parks and Recreation" actor Nick Offerman. The estate has amazing city and ocean views and the listing said that it was "must buy." Clearly someone agreed and came knocking with nearly $10 million. Mullally and Offerman may now be without this home, but they aren't homeless by any means. They are resting comfortably at the other Los Angeles home they own, which was purchased by the duo on Dec. 28, 2011 for $4,150,000.